Zerodha, a leading technology-driven online brokerage firm, is keen to foray into Singapore as part of its overseas expansion plans. “We are eyeing the Singapore market. Zerodha is already having a presence there through its web trading platform- KITE. After Singapore launch, we would be keen to tap the market in Europe”, said Nikhil Kamath, co-founder and director, Zerodha. KITE is a minimalistic web based trading platform that adapts to mobiles and tablet. It also offers everything a traditional platform does, and a lot more, through a very minimalistic interface. The interface is so simple and self explanatory, anyone with basic knowledge can log in and start trading without training. KITE also provides live streaming prices for instruments and buy/sell in just two clicks or completely using keyboard shortcuts. “Language is no longer a barrier for the trading/investing community here in Odisha now. We are certain that KITE's superior technology wrapped up and presented in a local language will not only ensure seamless access to markets and further increase in awareness, but also make the whole trading experience enjoyable”, said Kamath. 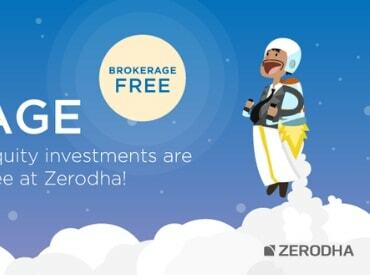 With over 120,000 clients, Zerodha boasts of an average daily turnover of Rs 10,000 crore at the exchanges. Odisha contributes around Rs 500 crore to Zerodha’s daily turnover volume. Zerodha has more than 10,000 customers in Odisha and the state has witnessed 85 per cent growth in clientele base. In keeping with its commitment to boost financial literacy in India Zerodha is trying to create a strong online education infrastructure for people wanting to learn about stock markets through Zerodha varsity. The varsity has visitors from 177 countries across the globe.